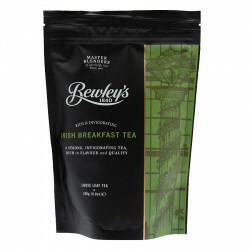 Bewley's offers with its Irish Breakfast, a blend of strong, invigorating and refreshing black teas to start the day! 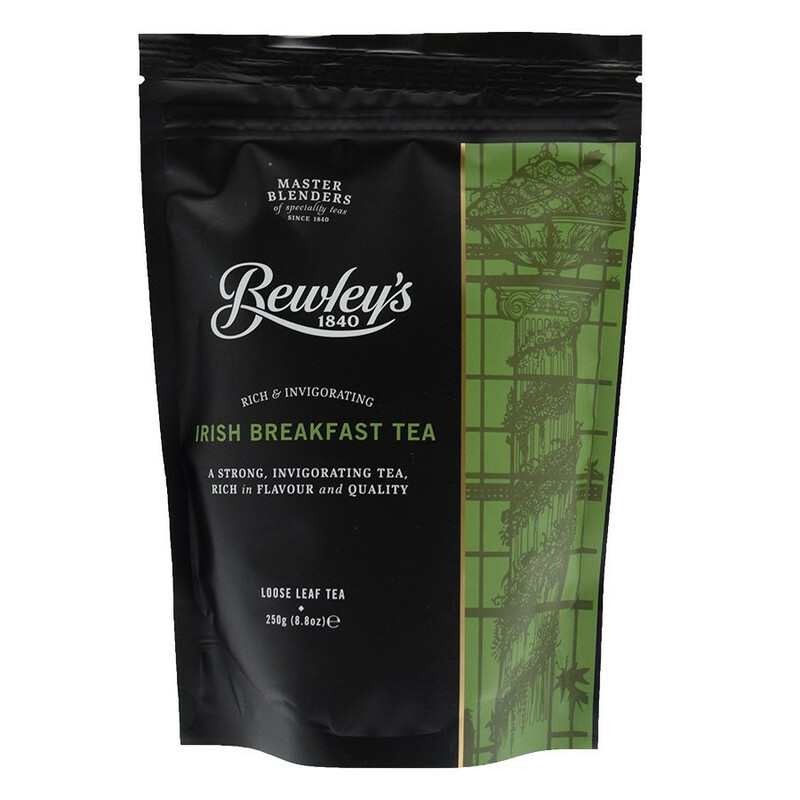 Bewley's offers with its Irish Breakfast, a blend of invigorating and refreshing black teas to start the day! 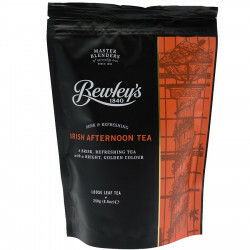 Strong, invigorating and refreshing black tea blend from Bewley's, the first company to import tea directly into Ireland. This blend of black teas from the Assam Valley and Darjeeling is best enjoyed in the morning. This loose tea bag is re-sealable to keep the aroma and freshness of the tea. Harry Clarke drew stained glass in Bewley's Grafton Street in Dublin. An original feature since the opening of the cafe doors in 1927, which is reproduced on Bewley's branded packages. Bewley’s is a name that definitely rings a bell… Known in Ireland as in the whole world, Bewley's has been offering subtle blends of teas and coffees most enjoyed by the discerning palate. In 1835, Samuel Bewley and his son first imported tea from China to Ireland. At the time, Ireland is new market as tea is a yet unknown beverage in the country. But this is why Bewley’s met tremendous success and is now known to all in Ireland. The Bewley's Limited Company is established in 1840 in Dublin. Since then, the company has been passionate about offering a wide range of blends of teas and coffees, and has major roasting facilities of in Ireland. More than 4000 hotels, restaurants and cafes serve Bewley's products every day in Ireland. One coffee from two served on the Green Island is a Bewley's. Bewley's coffees come from the most renowned plantations in the world: Panama, Bolivia, Ethiopia... all roasted in Dublin! Bewley’s offers 100% Arabica medium roast coffees to intense coffees. Enjoy the various flavours in a cup of richly tasty, balanced and subtle Bewley’s coffee. This Irish Afternoon tea is a lively and invigorating blend of black teas with whole leaves from Bewley's, a reference of tea in Ireland. Preheat the teapot by rinsing with warm water. Pop in one heaped teaspoo, of tea per cup. Pour in boiling water and leave to brew for 3 minutes. Reseal your pack to keep your tea fresh. Store in a cool, dry place.